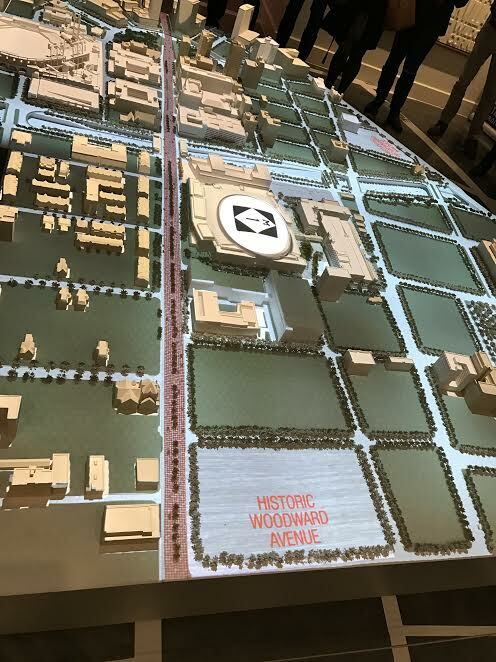 With the anticipation getting stronger for the completion of Little Caesars arena, my visit to The District Detroit Welcome Center made me want to share some exciting findings with all of my Detroit players! 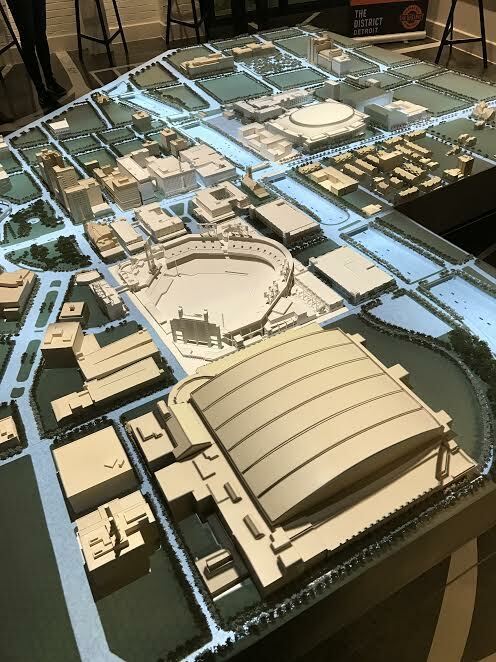 Thanks to Visit Detroit and Travel Massive, I was able to get a glimpse of what’s to come over the next few years between Little Caesars Arena, and the surrounding area. 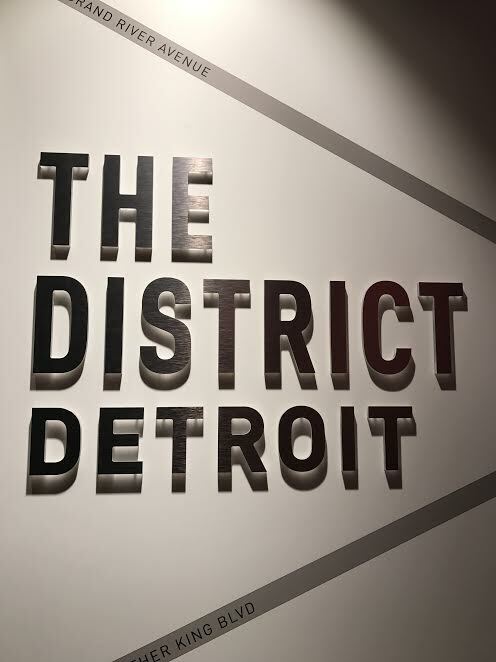 So, without further ado, here are 10 things you need to know about The District Detroit (Detroit’s entertainment block including Comerica Park, The Fox Theater, Ford Field, and Little Caesars Arena)! The District Detroit is the largest privately-led urban development. It is the first street corner in America with 5 pro teams within blocks of each other – Lions, Tigers, Red Wings, Pistons, and the soon-to-be pro soccer team! By 2020, all the arenas will no longer sit in a sea of parking, rather, retail, food, and entertainment. 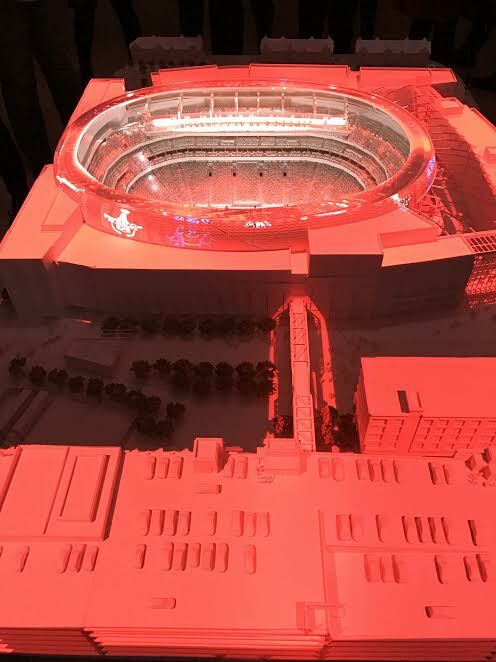 A currently un-named, 200-room, 5 star hotel will be coming to the district; and it will cater to athletes and entertainers. Little Caesars Arena will be the loudest arena in the US! It’s architecture is a mix of Madison Square Garden and an arena in Montreal, CA. 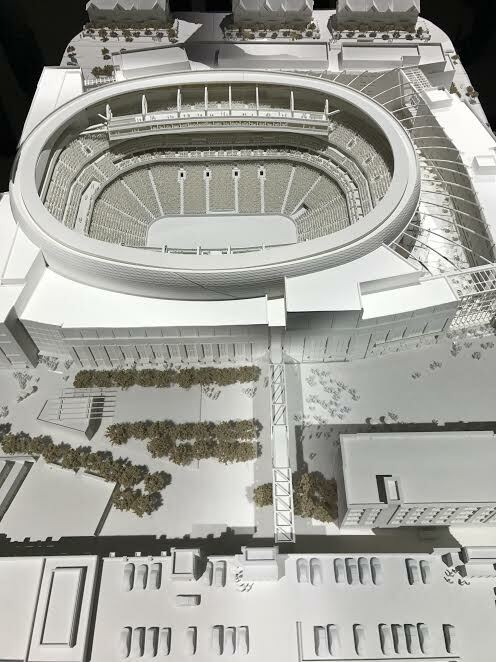 The arena will seat 20,000. Little Caesars Arena will be an entertainment center that will be hip on a cold February night! A space similar to the High Line in NY will be constructed for patrons to enjoy even when there’s not an event happening. Little Caesars Arena will house a three-story brewery! The name cannot be released yet, but we do know their brand color is BLUE. No steps, no ramps. At Little Caesars Arena, you’ll be able to walk right in to your section from the street. We’re used to taking care of other people. We look after our partners and children. We look in on our parents and check they have everything they need. We help colleagues out of jams, and we’re always there for our friends. But when do we take the time to take care of ourselves? Practicing self-compassion and looking after ourselves is often incorrectly dubbed as selfish. But just know, taking care of yourself is necessary to your well-being. It can help with mood and even prevent certain illnesses. The following tips are simple things we can do for ourselves every day. Just as you would treat a friend if they were feeling a bit low, apply this to yourself. It needn’t be extravagant. Fresh flowers or a bottle of nail polish would suffice. Just a little something to perk you up. You don’t have to wait for friends or partners. Sometimes it’s good to spend time by yourself. Take yourself off to the cinema, or go and see an exhibition at a museum or art gallery. Just going for a quiet walk can also be beneficial. The next time you have a night alone, cook yourself a special meal. Don’t just throw something in the microwave or order take-out. Cook yourself something fabulous. Find a recipe you haven’t tried before and go shopping for the ingredients. Experiment and look at different countries for inspiration. For example, the ASEAN (Association of Southeast Asian Nations) countries have some delicious dishes. Cook with herbs, spices and popular condiments for Asean cuisines, and then pop open a good bottle of wine to complement the dish. Often the inner critic can be a formidable force. Don’t beat yourself up if things don’t go as planned. Learn from your mistakes and move on. Going over and over an issue is pointless and only brings unhappiness. Learn from it and let it go! Show your body some TLC by feeding it healthy, tasty food. Don’t load it full of processed junk food. Take time over your meals and give them some thought. Shop for fresh, healthy ingredients, and look for healthy recipes. Even if you’re not around other people, dress up. Do your hair and makeup and paint your nails to look pretty for yourself. Wear clothes that you love and you feel good in. Slip into some clothes that reflect your taste and personality. No matter how busy you are, do the things that you love. And do them often. This could be as simple as reading. Or if extreme sports are more your thing, do that too. Whatever fills you with joy and passion, do it. 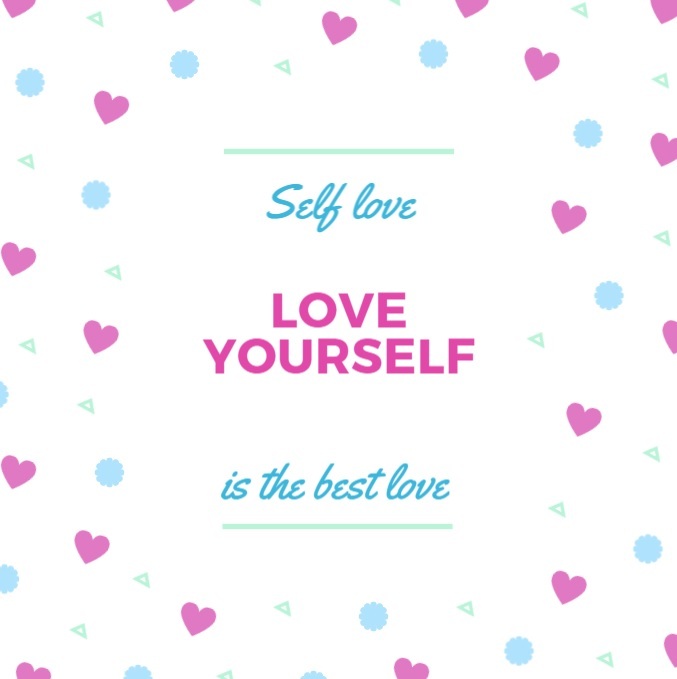 Taking care of ourselves and loving ourselves makes us better people. It helps us to form relationships and makes us more contented with our lives. Ultimately it leads to a healthier mind and body.